Welcome To Our Guide To Guinea Pig Mites! Learn How To Tell If A Guinea Pig Has Mites, How To Treat The Infestation And More! Guinea pigs make great pets, particularly for lovers of small animals. They are cute, furry, friendly little critters that make for a relatively low maintenance companion. 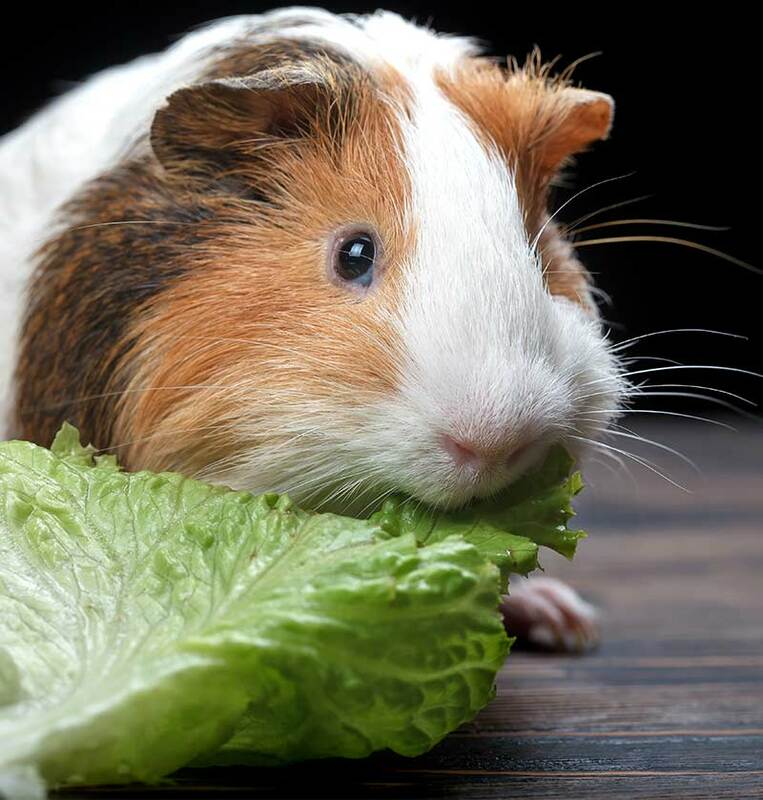 While typically healthy, guinea pigs are of course prone to some health problems. Guinea pig mites are one that strikes quite often. Guinea pig mites do not necessarily cause much of a problem, as in small numbers the mites can often lay dormant and are relatively harmless. However, it’s still important to watch for signs of mites in guinea pigs to keep your furry friends happy and healthy! In some cases, guinea pigs and mites can coexist without any signs or symptoms. In other cases, mites can cause severe symptoms and drive your pig crazy! Some mites can lay dormant for long periods of time. In small numbers, mites may cause no symptoms at all, and may not bother your pig. That can quickly change, however, so it’s important for owners to keep a close eye on their pigs and watch for any warning signs. There are two common types of guinea pig fur mites, as well as other less common varieties. Chirodiscoides caviae are a common type of mite that typically do not cause serious symptoms. They may cause minor skin irritation, or they may cause no clinical signs at all. Trixacarus caviae, also known as sarcoptic mange mites, can be much more serious. These mites can cause severe itchiness, leading to major skin irritation. In some cases, these mites can cause seizures and even death if left untreated. Thus, guinea pig mange mite treatment is essential if the mites are identified as trixacarus caviae or another harmful variety. So, what do guinea pig mites look like, and how can you tell what type they are? Unfortunately it’s quite difficult for the average person to distinguish the types of mites. Guinea mites are very small, and may look similar to fleas or other parasites. It’s usually easier to spot the symptoms of guinea pig mites than it is to spot the critters themselves. Veterinary advice is recommended. Regardless of the type of mite, these infestations should not be left untreated. Even if there are no current symptoms, that can quickly change if nothing is done! How Do Guinea Pigs Get Mites? Guinea pig ear mites and fur mites are parasites, and typically spread from other infected pigs, contaminated bedding, and unsanitary living conditions. 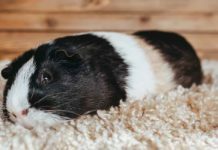 It’s fairly common for mite infestations to spread at pet stores and pet breeding facilities, so new owners often discover mites on their newly purchased guineas. In some cases, guinea pigs may have a minor mite infestation for a long time without showing any symptoms. 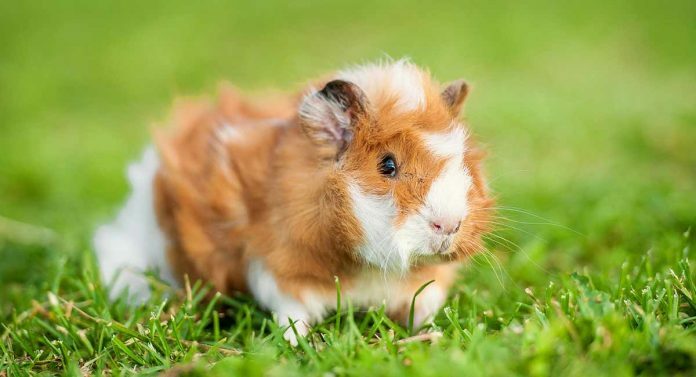 In these situations, mite infestations can rapidly worsen if the guinea pig is stressed, kept in unclean living conditions, or has lowered immunity due to an illness. If you are concerned that your pig may have mites, you should seek veterinary care immediately. Your vet will first examine the pig for signs of mites and other external parasites. In some cases, cultures and other tests for fungus and bacteria will also be conducted. If there is any doubt, the vet may also recommend various health tests to rule out other conditions that may be causing itchy skin or other symptoms. Your veterinarian will assess the severity of the infestation and recommend an appropriate treatment regimen. Unfortunately there is no official mite medicine for guinea pigs. Although Ivermectin for guinea pigs is a popular choice with vets. Instead, your vet will likely recommend the “off label” use of a medication that’s designed for cats or dogs. This is a common problem for guinea owners, as there are very few medicines actually licensed for use on guinea pigs. This is due primarily to the high cost of getting medicines licensed for each new type of animal. Since these medications are usually designed for cats and other animals, there are no official dosage or use instructions for guinea pigs. Thus, it’s important to find a veterinarian with experience in treating guinea pigs. An experienced vet will recommend a product (usually a topical medication designed for cats), and provide specific use instructions. They may also recommend products designed for fleas, such as flea powders and sprays. Most of these products appear safe, so long as they are administered with professional advice from an experienced veterinarian. However, some products should NOT be used on guinea pigs. This includes mite collars, organophosphates, and some permethrin-based products. If you’re wondering how to treat guinea pig mites at home, it really depends on how severe the infestation is. In any case, the first step should be to contact a veterinarian. 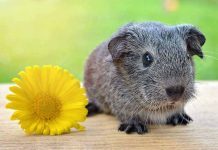 While there are home treatments available, you should not attempt them without first consulting a veterinarian – and ideally, one that is experienced in treating guinea pigs. The most important steps to take at home involve cleaning and preventing re-infestation – as discussed below. Are Guinea Pig Mites Contagious to Humans? Guinea pig mites cannot live on humans, so they are typically not a direct concern for pet owners. However, they can cause some temporary irritation in humans that are sensitive to mites/fleas. In some cases a sensitive individual may experience a minor dermatitis (skin inflammation) caused by mites. This is a temporary condition and rarely causes serious issues. Speak with your family doctor if you have concerns. Please have your guinea pig checked out by a vet if you see symptoms or signs of mites. All guinea pig mite medicine and at-home treatments should be approved by an experienced veterinarian. 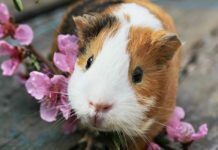 Has your guinea pig experienced mites? What worked to get rid of them and prevent re-infestation? Let us know in the comments! Axelson, R. Mites in Guinea Pigs. VCA Hospitals. Hirsjärvi, P., & Phyälä, L. (1995). Ivermectin treatment of a colony of guineapigs infested with fur mite (Chirodiscoides caviae). Laboratory Animals, 25(2). Schönfelder, J. et al (2010). Concurrent infestation of Demodex caviae and Chirodiscoides caviae in a guinea pig. Tierärztliche Praxis, 38(K). Kummel, B. A. et al (1980). Trixacarus caviae infestation of guinea pigs. Journal of the American Veterinary Medical Association, 177(9). McDonald, S. E., & Lavoipierre, M. M. (1980). Trixacarus caviae infestation in two guinea pigs. Laboratory Animal Science, 30(1).